Parag Khanna speaks with Mark Cooper of The Urban Land Institute’s magazine on the development of megacities (and need for infrastructure) that will characterize the next evolution of urbanization. My editor at CITIC has bestowed upon me a Chinese name: 康世和 (Kang Shihe) It means roughly "Good life in a peaceful world"! Xie Xie China for reading Connectography! The Panama Canal reached a milestone with its new expansion, but are ports in USA ready? CONNECTOGRAPHY explains the new Asia-Latin America trade networks through the Caribbean and what it means for the ailing infrastructure of the East Coast. 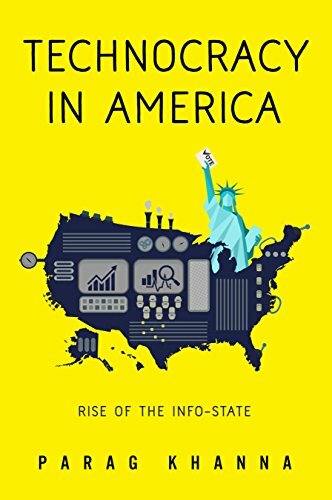 Issie Lapowsky of Wired interviews Parag Khanna as part of a story on the United Kingdom leaving the European Union and why connectivity is more important than ever. Global cities are ranked according to their central role in the global flows of goods, services, people, capital, and data. What is your vote for the next global city? Parag Khanna speaks with the The Global Citizens' Initiative on Connectography, migration and global citizenship. The Huffington Post has a feature review of CONNECTOGRAPHY focused on planetary urbanization, looking at the maps of mega-cities and the potential for the US to be reorganized around functional city clusters. Parag Khanna speaks with the Gottlieb Duttweiler Institute on the future of cities and conflict in the 21st century. Parag Khanna speaks with August Man about political populism, Eurasia's new Silk Roads of infrastructure, and the potential for water wars. Rutgers van der Hoeven discusses the future of Europe and how the world is becoming more interconnected with Parag Khanna. How can cities and infrastructure bring about peace? Parag Khanna discusses in an interview with Global Real Estate Insight. I am pleased to announce the release of the Chinese edition of CONNECTOGRAPHY, published by CITIC. You can read the Mandarin summary, special preface for the Chinese edition, and endorsements in the PDF linked below, and order the book from any of the Chinese e-commerce platforms appearing below as well. As Britain contemplates its own exit from the European Union, it risks negating the only equal and opposite dialectical force that counters devolution: aggregation. Despite populist headlines on resistance to immigration, there are more migrants than ever in history and the world is entering a period of demographic dilution. Discussing CONNECTOGRAPHY’s themes with Going Underground’s Afshin Rattansi on RT. Parag Khanna speaks with Tom Dallessio of Next City about the influences behind CONNECTOGRAPHY and the economic importance of building infrastructure in cities and beyond. Parag Khanna speaks with We Build Value about the three categories of connectivity and why supply chains and infrastructure are becoming the more lucrative assets on the map. 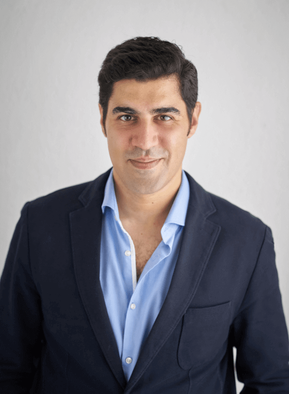 Parag Khanna will be joining tech start-up Teleport as an advisor on communication and product development.